Courtesy of LEGOLAND Chicago Discovery Center A LEGO minifigure of 98-year-old Ramblers chaplain Sister Jean was unveiled at LEGOLAND Chicago. 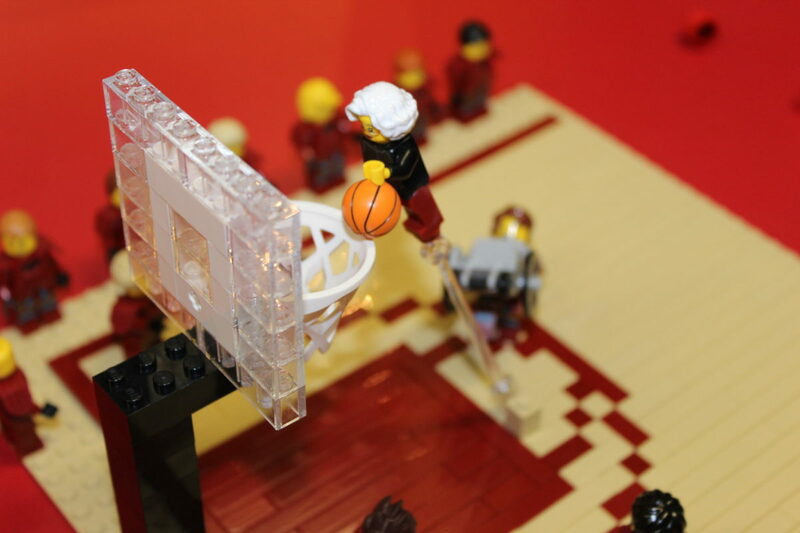 The minifigure, designed by the entertainment center’s Master Model Builder Greg Nuse, dons the team’s maroon colors and is accompanied by a LEGO basketball and wheelchair. She can be seen performing a slam dunk in front of a “Go Loyola” sign, also made of LEGO bricks. This is the latest tribute to Sister Jean, who has become a media darling as the Ramblers have advanced through the NCAA Tournament. Guests can visit Sister Jean’s LEGO doppelganger in the MINILAND attraction at the Schaumburg center. General admission costs $19.95 a person.